The most anticipated fashion feast is out now in stores. Accentuating prints with tempting and refreshing colors are going to be the trademark of this collection. Yes, ladies! 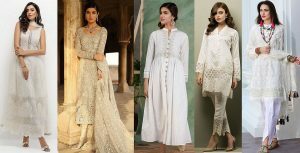 We are talking about the most eminent clothing line of Pakistan, Warda Latest Summer Dresses Collection 2019 has been launched. Warda has been in the clothing trade for over many years; still, it remained in the front line of the other competing clothing labels. It is said that it does not create, but it innovates unique designs and prints for its customers. 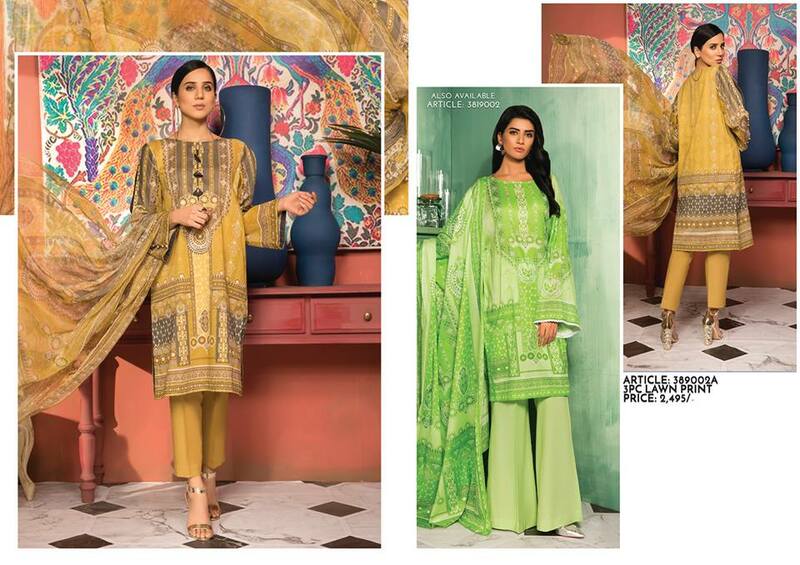 Girls and women of different ages opt for Warda for their comfy fabrics packaged with amusing prints. Warda has provided its services not only in big cities of Pakistan but also in other remote cities like Sargodha, Sialkot, Gujranwala, Gujrat, and Multan, etc. All of its outlets provide the latest of the designs of its collection. The latest spring summer collection is out now everywhere and published its catalogs, both volume 1 and volume 2. So get ready to indulge into the swirls of dazzling colors as we are about to give a detailed insight of the latest Warda spring summer lawn collection. This year, you’ll be getting more than just a few options to adorn yourself with quality fabrics. 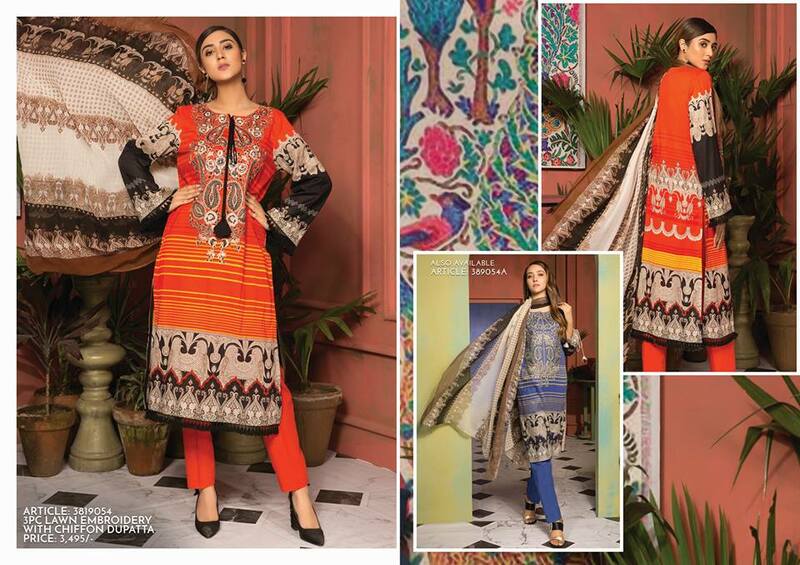 The WARDA collection mainly carries three pieces lawn suites, single shirt lawn, chiffon lawn with digital prints, chiffon embroidery, single prints, single shirt-craft lawn and single shirt lawn weave. Each of these varied series has variation regarding their designs, prints, colors and combinations furthermore. Exciting as it sounds, the price range of each of these series is extremely affordable for all and lies in the normal range of average earning women. It makes it must try this year. Sharp digital prints with floral embroideries or applique work seem to be attracting every gaze and every sight. Red with white, green with rust, brown with cream, blue with white, etc. are major fusions and contrasts that are set in this collection. Floral motifs in thread work over the front of the shirts and digital prints over the border of the shirts and sleeves look gorgeously amazing. Smooth and funky appears on these apparels with the coherence of digital prints with the floral embroidery. Light pastel shades are the charms of this collection. In the blazing heat of summer, soft light shades indeed give you a cool relief to carry with you around everywhere. What you need to do is to go through its catalogs, select the best of each print matching with a choice of your favorite colors and you can even select a design you like, and then you can spread the magic of Warda added to your spring summer wardrobe. For three-piece suits, the price range starts from 25,00 pkr approximately whereas the price of single shirt pieces ranges starts from 750 pkr approximately. So it Warda does not only claims to provide good quality with good price, but it has proved the fact. 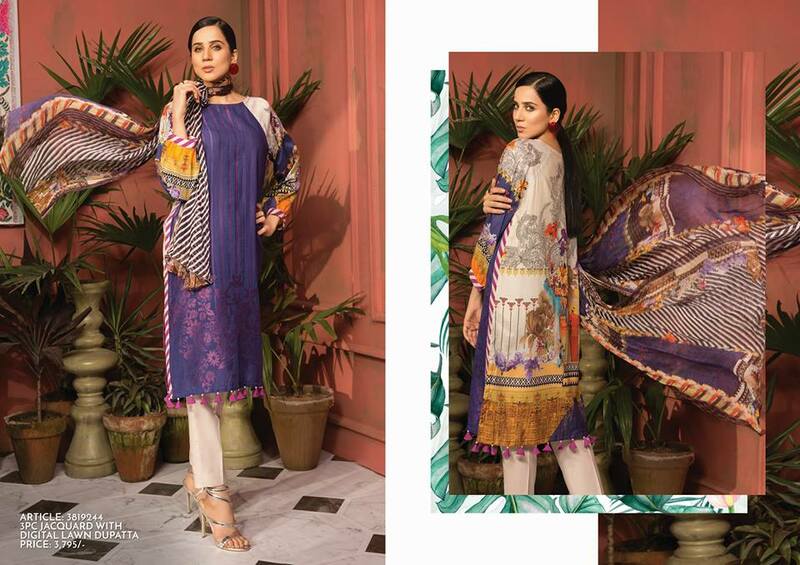 Don’t forget to experience this fantastic summer delight this year with the Warda Latest Summer Dresses Printed & Embroidered Collection 2019. 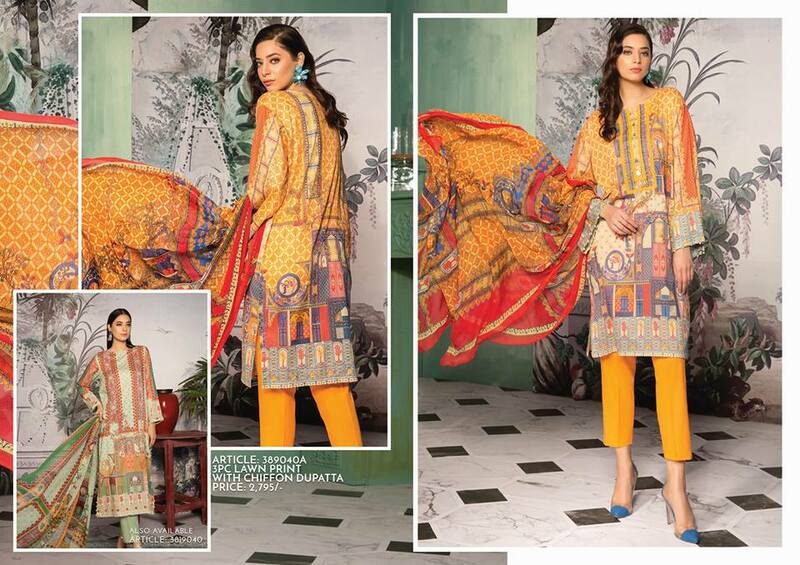 These designs come with the printed and embroidered range having chiffon dupattas and lawn dupattas. The printed range also contains beautiful jacquard suits. each and every design depicts a true sense of artistry and elegance. Warda Summer Collection’18 comes with the beautiful range of ladies printed shirts in just 750 pkr.